DownWithTyranny! : Should Republican Billionaires Be Picking Democratic Candidates The Way They Already Pick GOP Candidates? Let's start with some news: Last week, Fox News' James Rupert Murdoch, a British billionaire, put half a million dollars into one of Nancy Jacobson's shady No Labels SuperPACs that aims to fill Congress with candidates from the Republican Wing of the Democratic Party. 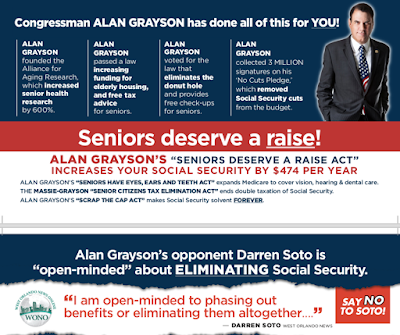 Their current goal is a smear campaign against Alan Grayson. 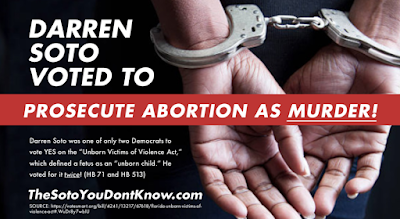 Most recently, Jacobson pulled off the same filth against Marie Newman in Illinois’ 3rd District House primary, spending $931,600 to spread absolute lies against Newman while bolstering anti-Choice Blue Dog Dan Lipinski. 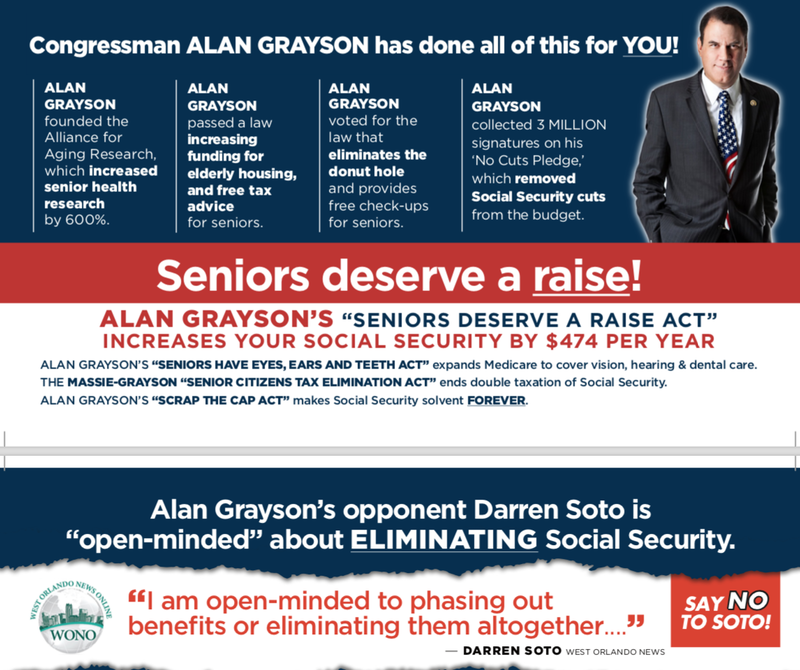 Darren Soto is exactly the kind of fake Democrat Jacobson, the Murdochs and other GOP billionaires want to see beat progressives like Grayson. 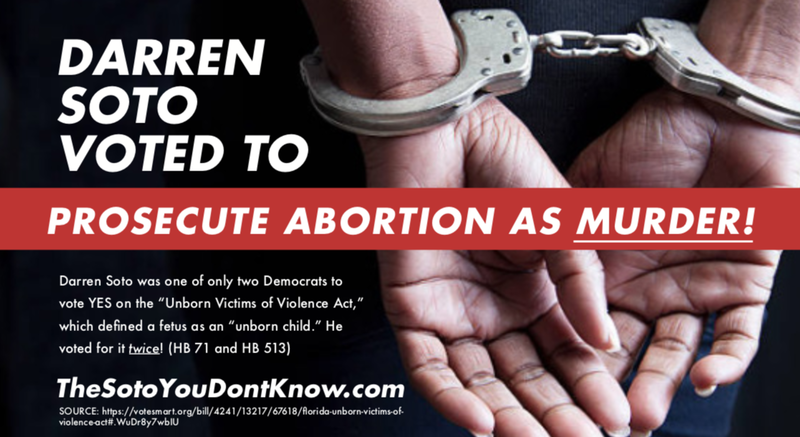 Soto voted to prosecute all abortions as murder and voted to force women who want an abortion to undergo a humiliating procedure called "transvaginal ultrasound." Since being primaried by Grayson he's been apologizing for those votes, saying he "made a mistake." 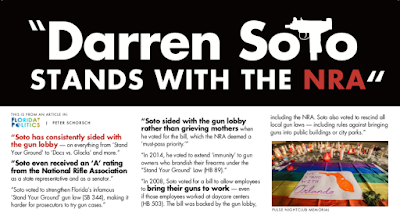 He hasn't apologized for the votes that earned him "A" ratings from the NRA-- twice. And because of those hair-raising votes, the NRA endorsed him. 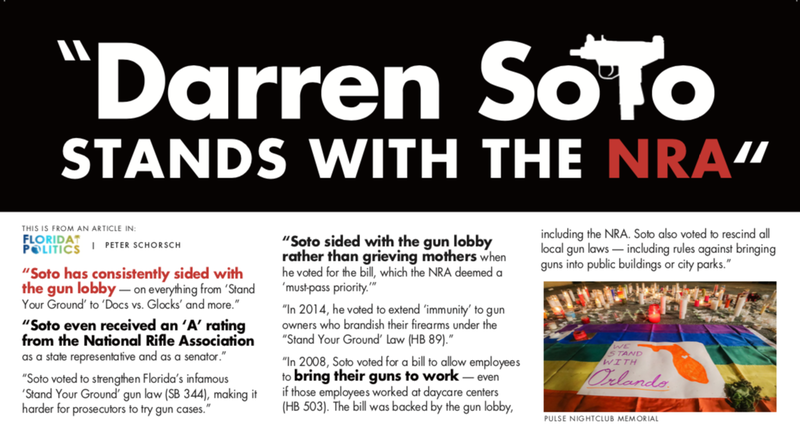 He voted for Trump-sponsored laws 58 times in Congress and both times impeaching Trump came up in Congress, Soto voted NO. The reason No Labels is so enthusiastic about him is because he has said that he is "open-minded" about phasing out Social Security benefits or eliminating them altogether, No Labels' top issue. 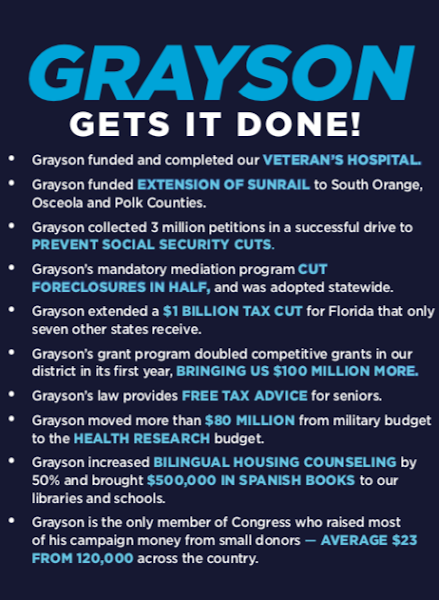 Blue America members have been helping Grayson with his election campaigns since 2006. And he's never let us down-- always one of the 2 or 3 best members of Congress and living up to his promises. He needs us again now. The primary is August 28 and he really needs to get on the air and respond to the lies Jacobson and Murdock are flooding TV and radio with. 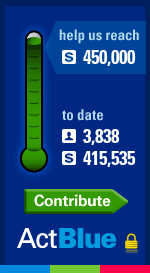 Please consider contributing what you can by clicking on the Blue America 2018 congressional elections thermometer on the right. As of yesterday another dark money PAC had bought ads on one of the big Spanish language radio stations-- one ad every hour until election day! That's called brain-washing. It's what fascists do; it's what Republicans do. Republican billionaires know their party is going to lose control of Congress in November. So they are working to defeat progressives and make certain friendly conservative DINOs become the nominees of the Democratic Party. We can't let this happen. It's our party, not theirs. I am the poster 12:24 pm. 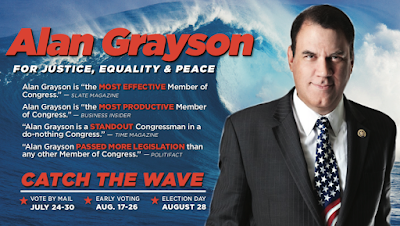 BTW, I do support Grayson - he is one of the non-establishment Dem pols with some semblance of principles. My issue is with the Dem establishment pols. I seriously doubt that billionaires are Republicans anymore. They merely use the GOP because their Party philosophy is already closely aligned with the goals of the corporatists. in addition, Republicans are devout Mammonists who worship at the feet of the billionaire high priests of the cult, making them easy converts to corporatism if they aren't already devoted. I was under the impression they already were picking democratic party candidates. A lot of Joe Crowley's donors were the same people who funded Trump's campaign. 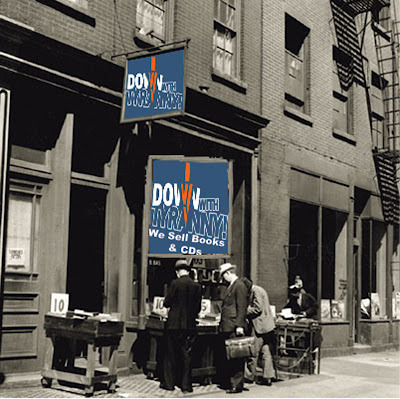 One reason FDR almost didn't run for a fourth term was because he saw the corrupting influence that big money had on his party and it certainly played a part in Truman being nominated for VP over Henry Wallace in some shady backroom deals at the DNC. Anthony said it. The same money has been picking both party's candidates for decades now. You thought $hillbillary and trump were the BEST the respective "parties" had? Nope. They were the money's choices. And we were expected to elect the lesser evil one. But we fucked that up and gave them the more evil one... who paid the money back with $1.5T in tax cuts. It was designed to be a win - win. And it was.